Picture Gloria Estefan with Aretha Franklin's soulful voice. Ana Guigui is a transplanted New Yorker presently living in Boston by way of Los Angeles. She was classically trained in piano, flute, and viola before maturing into an accomplished singer, songwriter, keyboardist and actress. Ana has recorded and/or sung live with Ben Folds, Chip Taylor, Jon Secada, Deborah Gibson, Stephen Bishop, Andrew Gold, AMERICA,Juan Gabriel, Bo Bice, and toured as a keyboardist/vocalist with Christopher Cross for seven years.Ana is an independent artist and her original C.D., Love Is On The Line, was produced by Andrew Gold(“Lonely Boy”, “Thank You For Being a Friend”), released in 2006, distributed internationally by BFM Digital. In 2013, Ana completed her DMA (Doctor of Musical Arts) degree in Opera/Vocal Arts at USC's Thornton School of Music. Ana is currently Associate Professor of Voice at the Berklee College of Music in Boston. Ana has taught numerous years for the Berklee Five-Week summer program, commercial voice and jazz piano at Cal/Polytechnic University/Pomona, and Musical Theater at the Lee Strasberg Institute in West Hollywood, California. She participated in the prestigiousSongFest art song program hosted at the Colburn School in L.A. in the summer of 2012, working closely with Jake Heggie, Gran Gershon, Amy Burton, and other reputable twenty-first century classical composers. She is co-founder of Opera On Tap L.A. with Damien Elwood and founder and artistic director of Opera On Tap Latino, whose mission is to perform classical vocal repertoire in alternative venues around the L.A. area. Expanding on her jazz voice minor, she is also currently part of Tierney Sutton's jazz voice improvisation community outreach program at the Lobero Theater, based in Santa Barbara, California. Ana has also carved out a career as a professional actress, which includes film, television and stage credits. Some of her favorite TV roles include portraying a bridesmaid on HBO's "The Sopranos", and a recurring role on ABC’s “General Hospital.” Theatrical credits include the U.S. National Tour of Buddy: The Buddy Holly Story and the 2003 Los Angeles incarnation of "Tony 'n Tina's Wedding" where she reprised her original Off-Broadway role, among other credits. 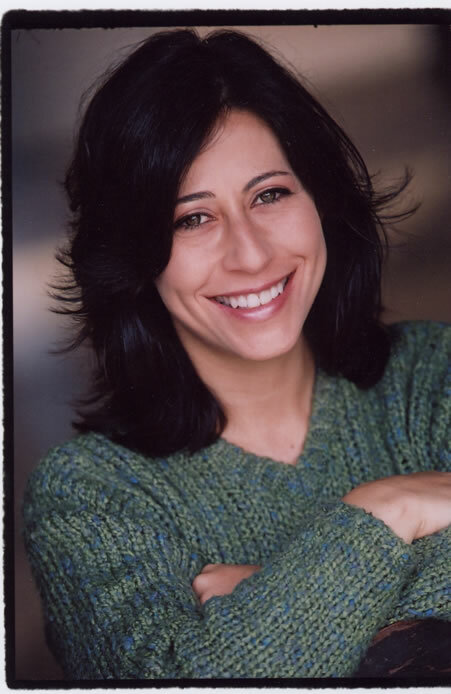 Ana self-produced and performed a six-week run of her autobiographical 90-minute, one-woman show, God Box, at the Actors Forum Theatre in North Hollywood in the summer of 2009, financed by a generous McNamara Creative Arts grant from the Hispanic Scholarship Fund. (www.HSF.org). God Box is a recipient of the L.A. 2009 Artistic Director Achievement Awards (ADA) for “Best One-Person Play or Musical.” Please peruse www.anaguigui.com for her headshot, resumé, C.V., and bio, and for audio and video clips of some of her various performances.